Roll call - who's all here, and how often do you guys dive? Re: Roll call - who's all here, and how often do you guys dive? There are a lot of active divers in the Portland Area. Many go up on day trips to Hood Canal or Puget Sound on the weekends or even weekdays. Just about every weekend I head north, but I work at home so I NEED to get out on a regular basis. Would it be nicer if it was closer sure but its not bad at all. They are not connected to any one shop in the area -- Divers from all the shops. Also go check out the various shops around the area and see what local trips they have on the schedule. There is this weird culture where your almost expected to stay at one shop but I say people should break the mold and visit a bunch of them. There are a few lakes and rivers in the PDX area you can get your dive on if making a long trek isn't in the cards. Just ask around and you should be able to find some buddies to do those with you. Hello, I've noticed people don't always check this forum, I think you'll find most divers go up to Seattle area to dive, however if you get hooked up with the right crowd there is diving to do in Oregon on the coast, I usually go to fish, or get crab etc. there are a few lakes worth diving in Oregon, kinda once you've done them you've done them. To answer your question I dive once a month, my schedule can be flexible. I am new to the forums (and diving!). Living in Portland, OR and currently completing my OW course. I'm enthusiastic about getting involved in local diving, and was wondering what the community looks like here in Oregon and also in the greater Portland area? Are there many dive groups that go out on a somewhat regular basis? 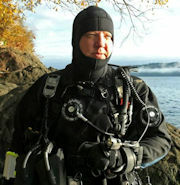 I'm also curious to hear from fellow Oregon divers, given our location, how often you are able to get out and dive? Is a weekend dive trip every couple of months reasonable? My current plan is to get as many dives in as possible right after certification throughout the months of August/September, and then get AOW certified in Sep/Oct, as well as Nitrox + Drysuit. Look forward to getting connected with the local community and going on some dives!